Learn how our Today Page gives you a dashboard with clear, customizable views of your pipeline, social signals, appointments, and tasks. The Today Page provides an intuitive, high-level dashboard that displays the pulse of your business to help you take smarter actions. 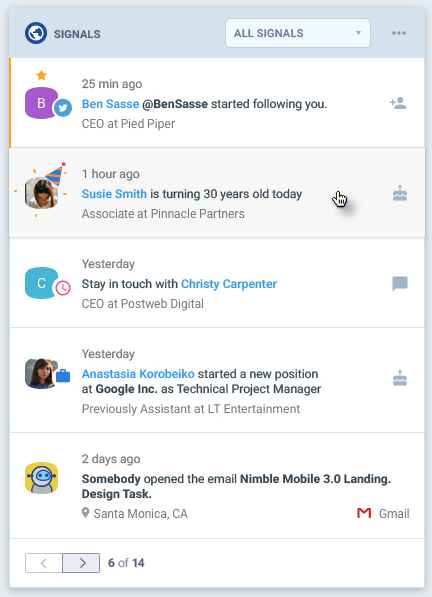 Once your contacts are imported and your social networks are connected, notifications regarding your events, tasks, deals and social signals for the day will sync to this page. You'll also see contact suggestions under "Today's Top Contacts." Personalize Your Today Page: You can change the cover photo on your Today page in Nimble by selecting one of the options we provide, or by uploading your own photo (up to 1200x1400 pixels for the best results)! Simply select "Manage Widgets", and use the "Change Cover" button to get started. Additionally, you can now add a logo to show off your brand! After selecting "Manage Widgets", choose "Add Logo" to set this up. Logos display best with a width of 285 pixels, but we'll scale it for you if the size is different. 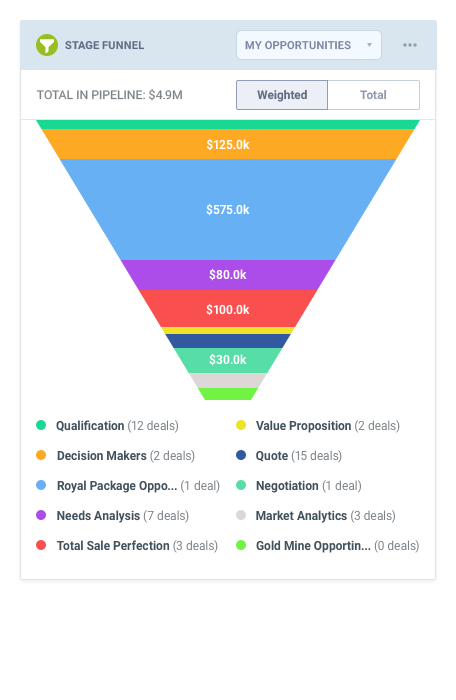 Track Your Sales Funnel: Monitor your prospects, leads, and opportunities at each stage with our Stage Funnel widget. See a quick overview of your stages to know where you need to fill opportunities to meet your goals. 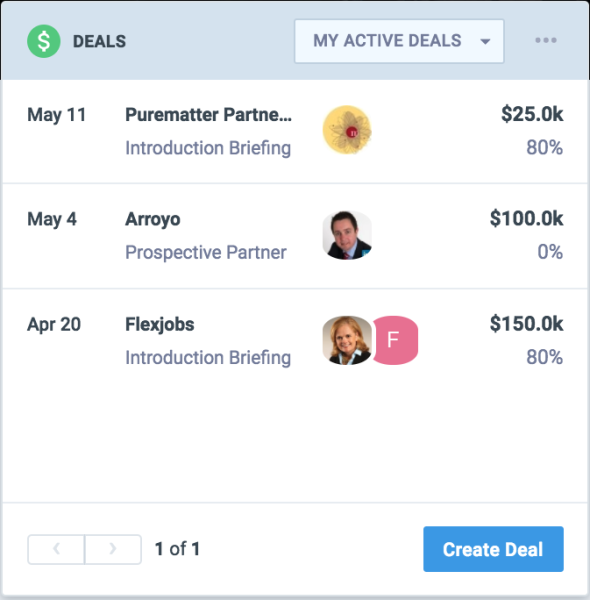 Deal Pipeline Tracking: Check the status of deals and your overall pipeline while taking progressive action directly from your dashboard. Click to access engagement history and current insights on key contacts. Update deal statuses, add notes to existing deals, or create new deals. 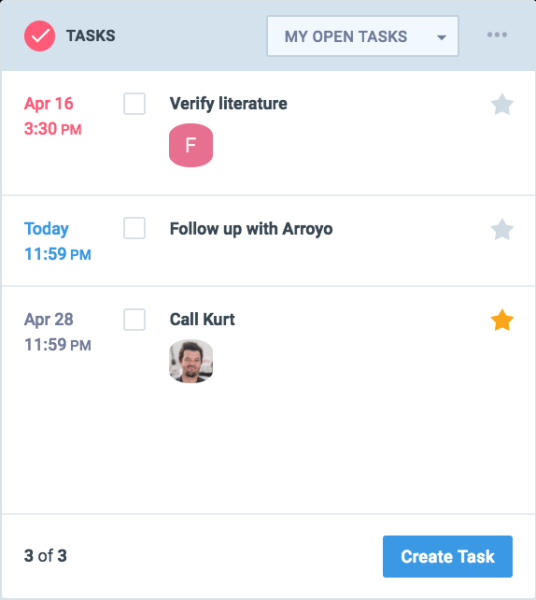 Task Management: Follow through on today’s to-do’s to cultivate the right deals and connections, personally and at scale. You can also delegate tasks to your team to optimize accountability and communication across the board. 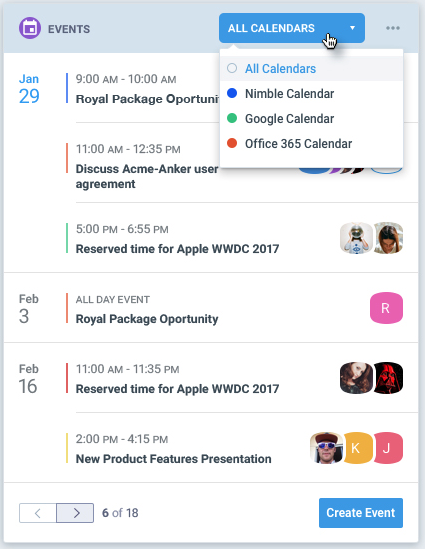 Prepare for Meetings: Review your meetings for the day and always come prepared with social relationship insights about the people you’re meeting with. 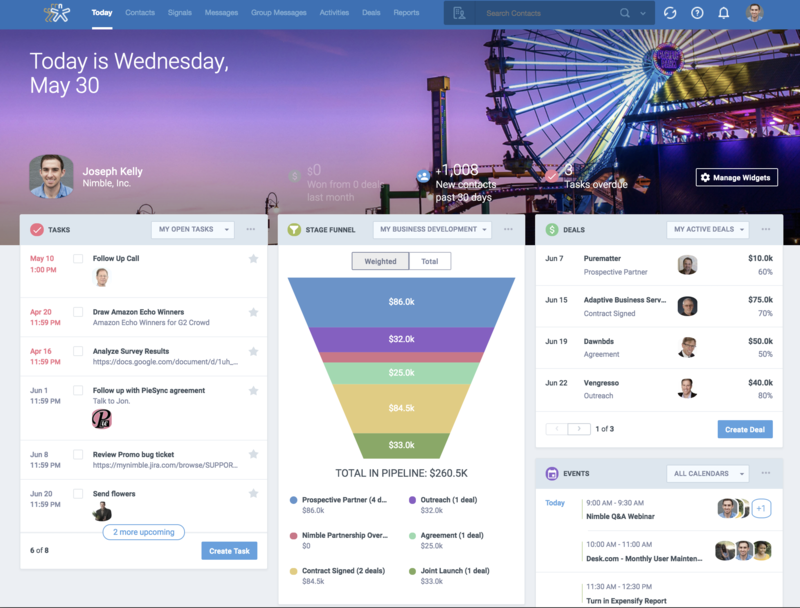 See profiles complete with business insights, sales intelligence, and an in-depth history of communication with your entire team. Scan Prospects’ Engagement Signals: Always stay in the loop by utilizing an abridged overview of social media updates such as Twitter engagements, Facebook Page comments, birthdays, and more. 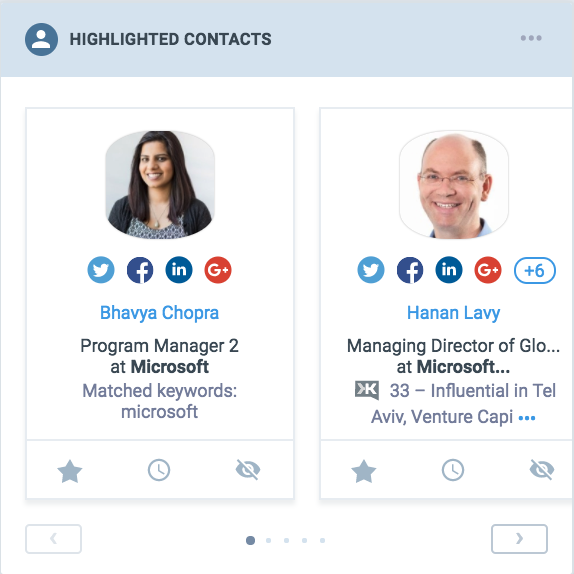 Connect with Highlighted Contacts: Nimble recommends your next opportunity to connect with a potential prospect using relevant keywords you plug into our intelligence engine. You’ll only see the highlighted contacts you want to see based on the parameters you’ve set, such as title, location, company or interests. To personalize suggestions for Highlighted Contacts, you can edit the search criteria within “Contact Keywords” in your Nimble Settings. Nimble will search these keywords in the social and contact bio for your contacts to surface relevant people for you to connect with.